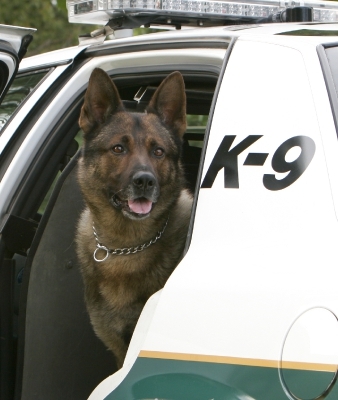 The Canine Unit is assigned to the Patrol Division. 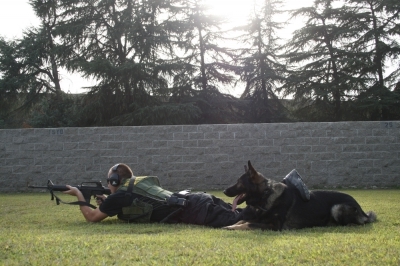 There are nine patrol canine teams, three of which are cross-trained for explosive detection. 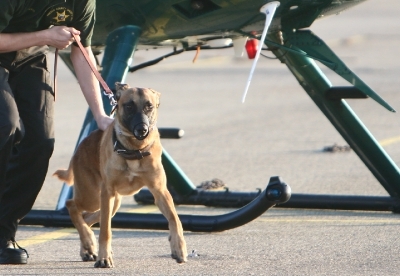 The unit currently deploys canines of the german shepherd, czech shepherd, and belgian malinois breed. 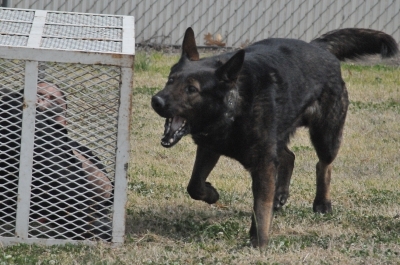 Canines are generally purchased from various professional and reputable kennels throughout the state, however there have been rare circumstances where the agency has purchased from private citizens, as well as other law enforcement agencies. Each Sheriff's canine, along with their assigned handler, must attend a five week basic handler course that is certified under the California Peace Officer Standards and Training (POST) criteria, prior to actual deployment in the field. In addition to the basic handler course, those selected as dual-purpose explosive detection canines must attend an additional 200 hours of training specific to odor detection work. The explosive detection training includes the recognition and detection of various chemicals that can be combined to form an explosive device. 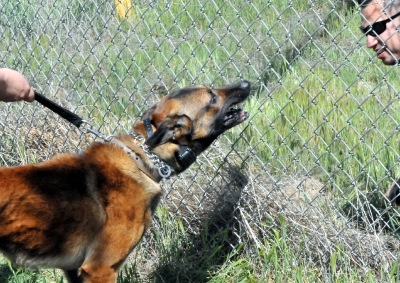 Explosive detection canines are imprinted on these odors early on in their training. They are then subjected to ongoing odor detection training every month to keep them accurate and current with training standards. 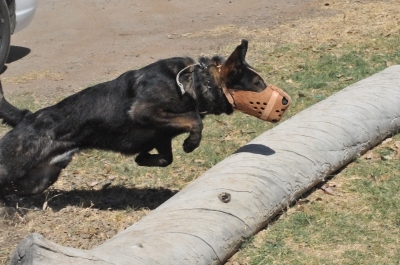 Single-purpose patrol canine teams receive 30 hours of training a month. Dual-purpose patrol and explosive detection canine teams receive an additional 10 hours of training each month, totaling 40 hours. 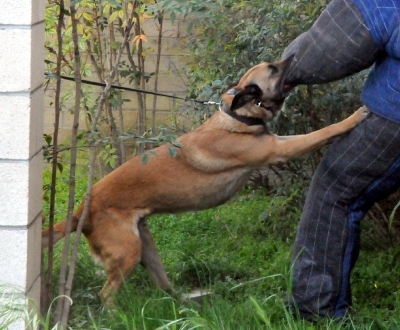 Ongoing training is paramount in maintaining a successful canine unit. 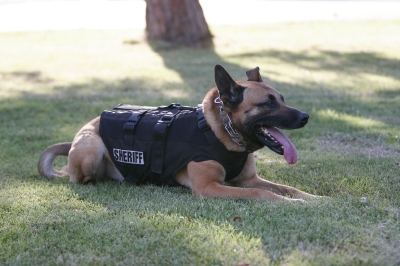 The Sheriff's canine works the standard 40-hour work week with their assigned handler. When off duty, the canine resides at home with the handler and their respective families. 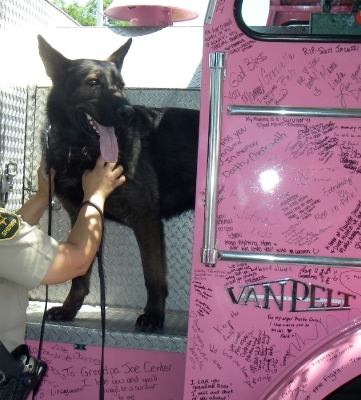 The handler is assigned a marked Sheriff's patrol vehicle, specially equipped for the canine, that is parked at the handler's residence during non-work hours. All handlers are subject to call-out during non-work hours. 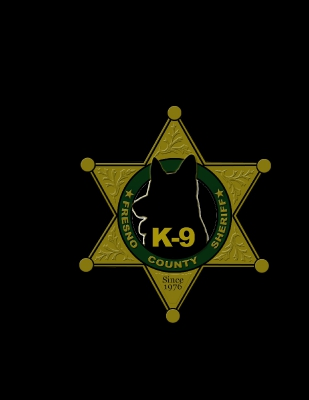 The Sheriff's Office pays for all veterinarian services the canine may require, a fenced kennel at the handler's residence, food, and all necessary training/safety equipment. 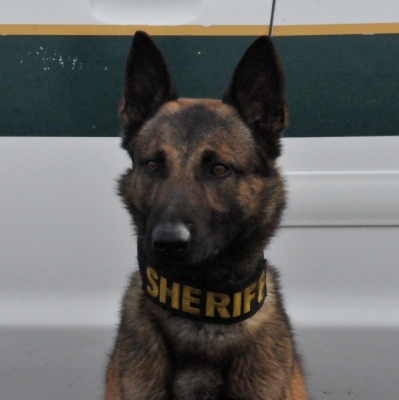 The Sheriff's Office primarily deploys canines to protect its deputies and citizens, to locate and apprehend criminals, and as an overall deterrent for crime prevention. 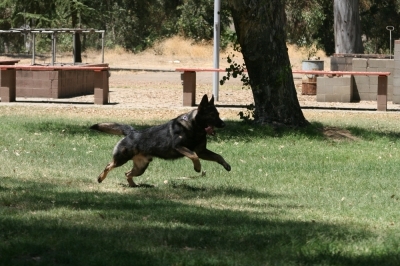 The Sheriff's canine has also been trained in article/evidence searches and as a locating tool for missing children or senile adults. A canine's superior olfactory and sensory capabilities provide a competent and extremely effective defense for a lone deputy on patrol. 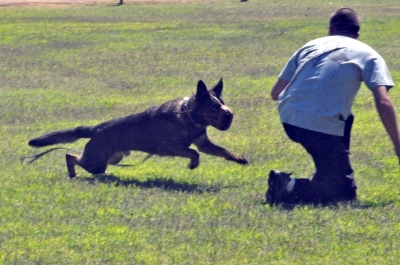 A well trained canine can track a suspect to his or her hiding place even when the trail is an hour or more old. One of the goals of the canine unit is to promote positive community relations through demonstrations at schools and various public/community events. 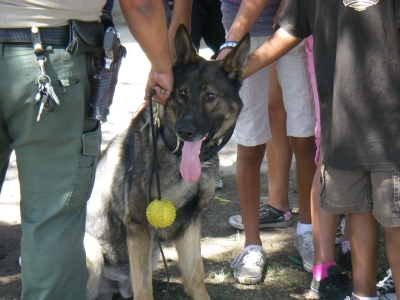 These demonstrations primarily focus on children, however we have found adults are often just as intrigued as to the training and abilities of the Sheriff's canine. Quite often the general public is misinformed as to the uses of the canine and how they are utilized in modern day law enforcement. These demonstrations help clarify common misconceptions and dispel rumors. They also help to educate the public on the fact that canines are generally not vicious animals, but rather well trained animals who undergo extensive control and obedience work. Furthermore, the canine is capable of completing a wide variety of tasks. These demonstrations are usually provided to schools, church groups, college career days, community groups, and other public functions. Assignment to the canine unit is voluntary and requires a tremendous commitment of personal time and effort to properly maintain and care for a Sheriff's canine. Deputy Sheriff applicants undergo rigorous practical exercises, a comprehensive review of their work performance, and an oral interview prior to selection to the unit. So long as they remain in good standing within the unit, the handler has the option to work the canine for the entirety of its career and may even partner with a new canine afterwards. 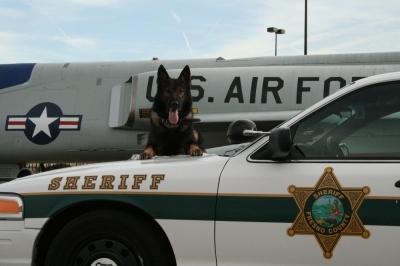 When it is determined a Sheriff's canine needs to be retired, the current handler is given the option of purchasing the canine from the county. If they do not wish to purchase the canine, other members or former members of the canine unit are then afforded that opportunity.